Vintage reprint article, An interview with David Dortort - includes 4th season changes! Gallery of Auction items for the Reunion, with NEW items. Why did Mark Slade leave the show in the 4th season? See our Q&A section. 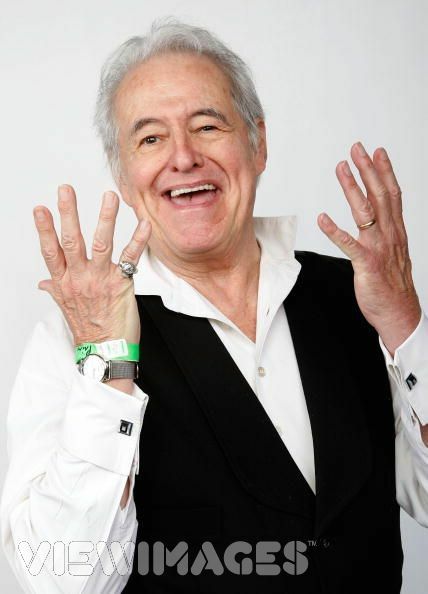 Henry Darrow is making his plans to be at Tucson for the 2009 High Chaparral Reunion! He sent a very special message to ALL High Chaparral fans, thanking you for your support of the show. Here's your message from Manolito Montoya - the incomparable Henry Darrow. He's hoping to meet you in Tucson. Editor’s Note: Fan Debbie Carlson knew the Cameron Mitchell family during The High Chaparral years, and graciously shared her memories with us in an article in the January 2009 Newsletter. In this follow-up, Debbie shares further memories of Mr. Mitchell and The High Chaparral. Speaking of Star Trek, if only I knew then that it would be such a phenomenon, maybe we would have tried to get on the set! One of the times I was on the High Chaparral set, Mr. Mitchell's son Jake (Buck) and I were nosing around in the back of the studio, walking through an area where big tall boards were stored. It was rather remote, dark and empty...we thought. All of a sudden, we came around a corner and ran across a reptilian creature which scared the heck out of us. 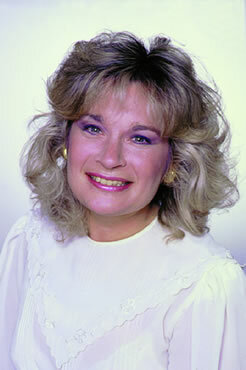 It turned out this person was in costume and working on Star Trek. He must have known Mark Slade because they were talking. We didn't go back into that area again! Mr. Mitchell was shooting a scene on the interior High Chaparral set at Paramount. I remember another actor who was portraying an indian being tied to a chair. 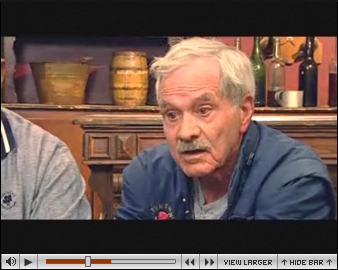 I was watching the scene when I found myself in Mr. Mitchell's line of sight. It was a very serious scene. I then realized that he was staring straight at me. I was riveted to the spot, unable to move or even look away. I remember thinking that I should move because I probably was in his way but I couldn't budge. There was a very long close to the scene, I'm guessing maybe they were moving in on his face for a close up although I don't remember the camera moving. He was perfectly still with the same facial expression for what seemed like an eternity. Never in my life before or since have I been fixed to a spot like that by anyone, not able to move or even turn my eyes away. I mention that experience because to me it's a perfect example of what a powerful actor he was. I think you were right about The Andersonville Trial. Boy, I didn't realize there were so many big names in that show but I do remember how anxious (in a good way) he was about working with George C. Scott, which I found odd considering his stature and all the big names he worked with over the years. Maybe it was because of the Patton movie and what an incredible presence Mr. Scott was in that role. Thanks again for sharing the newsletter with me. It was a lot of fun to read. I loved all of it. DON'T MISS A ONCE IN A LIFETIME EVENT! There's still time to attend, but don't delay! It's easy to make your reservation, if you have questions or concerns just email info@highchaparralnewsletter.com. Join the cast and crew in Tucson at The High Chaparral. Make your reservation today for three days you'll never forget. A variety of payment options - Credit Card, Paypal, or check, are available. 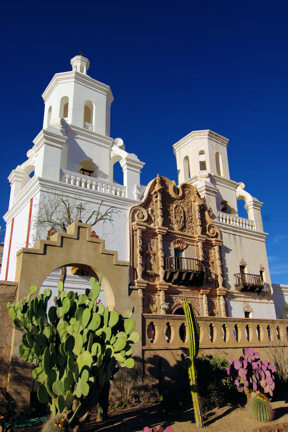 Register today for The High Chaparral Reunion, October 16-18, Tucson, AZ. Tucson at The High Chaparral Reunion, October 16-18. If you're considering going but are hesitant, don't be. The stars love meeting their fans, the other folks attending are friendly and welcoming....this is a wonderful event and one you'll always remember. High Chaparral's Bob Hoy (Joe Butler) and stuntmen Tony Brubaker and Loren Janes discuss how to stage a convincing fight scene in this Turner Classic Movie original featurette that includes clips of Breakheart Pass (1976) and other films. High Chaparral Newsletter Editor Penny McQueen guests on Perfectly Frank, Tuesday, August 4 at 7pm PST, on KSAV.org. High Chaparral Newsletter editor Penny McQueen will be a guest on Perfectly Frank Tuesday, August 4 at 7 pm PST/10 EST on KSAV.org. Produced by Susan McCray, the program continues an ongoing list of guests on Perfectly Frank who pick their top 10 Frank Sinatra songs. You can hear the promo currently running on the KSAV home page - there are three promos cycling so be patient, and listen in for Penny on Tuesday. It’s a good thing I traveled to Tucson with my family nearly ten years ago. It was the first of our HCDG get-togethers in Tucson. There were only six of us then. While we basked under the same sun that The High Chaparral had blistered in 30 years earlier, it gave me a good feeling. I could still share the limelight of outdoor production location shots. I could walk down Old Tucson’s main street and hear the director bark “cut”. I could still smell the black powder hanging in the still air after the stuntmen had blasted each other off the hotel roof. People, many people, go on vacations to visit movie and TV location sites. Monument Valley is one of the most over-populated pilgrimages for tourists checking out the grandeur of John Wayne’s epic films, thanks to the vision of John Ford and other great producers who chose that specific spot to enhance the film’s image. You can purchase books written on just the outdoor locations across the US of movies and TV series. Every October, hundreds of fans enjoy the memories of old Westerns filmed all around Lone Pine, CA. It’s where Audie Murphy and Randolph Scott flew their private planes to do location shots, while the regular actors and staff rode in cars without air conditioning. Several of our HC fans traveled to Melody Ranch and Vasquez Rocks in Southern California to visit locations where numerous TV series gained fame while their actors captured bad guys and sunburns. So, I was eager to take on the assignment this year to design the ultimate tour for The High Chaparral Reunion. This 3-hour event will take us to a few select places that are near and very dear to our passionate HC hearts. Although I wish we could roam the desert forever, I can show you where the actual filming of Don Sebastian’s great Lion Gate entry is, where the grand fountain and tiled courtyard introduced the opulence of the Montoya Hacienda, where the original downtown of Tucson has been restored to echo the lifeblood of Old Tucson, and, where the isolated lives of cavalry soldiers drummed on in a secluded and protected part of the city most don’t even know exist. My bus tour plans originally started with me as your tour guide. I coulda done it. But then I came across the character that every tour bus ride should have, a guide that loves the West and is very familiar with The High Chaparral. In fact, he could be a reunion participant if it hadn’t been for me roping him down and hauling him away for the tour. His name is Brent Martin. He’s a lot of fun. He’ll fit right in. So be sure you get ready for your tour during The High Chaparral Reunion on Sunday, Oct 18th from 1:30 pm to 4:30 pm. We’ll meet at LaPosada. Take a hat, your bottled water, solid shoes, extra batteries for the camera, and any tip money you might want to toss to Brent, the perfect guide for The High Chaparral Reunion 09. I believe we have room for a few more riders if you wish to add yourself to the tour. There’s limited seating so contact Penny by mail or email to verify. Riders comin’. The High Chaparral Reunion will include a Goody Auction, with lots of fun things, including items you can have autographed. There are several new items for you to look at as you start shopping in the the Auction Gallery. Can't make it to the Reunion? Would you be interested in participating in the Auction anyway? We're not sure how this might work but want to know if you'd still like to be a part, so email to let us know and we'll see what we can do. See you in Tucson at The High Chaparral! What happened to Blue in the 4th season? I've heard if there had been a 5th season they were bringing him back - is that true? Because the character of Blue disappeared in the 4th season with no real explanation, fans continue to speculate on his fate. The June 10, 1970 edition of the Tucson Daily Citizen published an interview with David Dortort. In it, Dortort is quoted explaining why Blue was no longer regularly featured and indicating he would return. 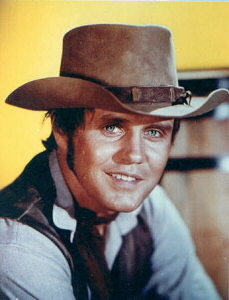 Big news about the series, which finished its third season in the top 20 Nielsen-rated television shows nationally, is that Mark Slade, in the character of Blue Cannon, "simply grew out of the part" and will no longer appear regularly in the series after the last show of the reruns in early September, Dortort said. "Mark Slade is a fine young man, a good actor, cooperative and hard working," Dortort said. "But he's 30 and it was getting increasingly difficult to write convincing scripts that had him playing a teenager." Dortort said Slade's character, Blue, would be kept alive "because of the affection we have for Mark", and that he may return to the series at a later date as a mature character. The script has Blue leaving the Cannon ranch to pursue art studies in the East. Read the entire Tucson Daily Citizen article contained in this edition of the newsletter. High Chaparral wasn't the only Dortort show changing in 1970, and Dortort was quoted again in the Arizona Sun on July 24 in an article titled 'New TV Faces Start To Appear' - David Canary departs the cast of "Bonanza" and will be replaced by 15-year-old Mitch Vogel, who was in "The Reivers." 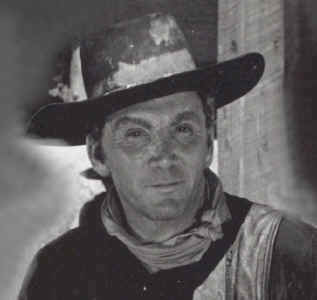 On "High Chaparral," Mark Slade leaves the nest and the new young male interest is Rudy Ramos. Both were victims of "aging." "There were so many stories we couldn't tell because we didn't have young people," said David Dortort, who is executive producer for both shows. "The High Chaparral," NBC's dramatic western adventure series which makes its location home at Old Tucson, is staying in Arizona, no ifs, ands or buts about it. That is the word from the shows's executive producer and originator, David Dortort, who scouted locations yesterday and addressed a noon meeting of Rotary International at the Pioneer International Hotel today. "We have gone to considerable trouble and expense to move the interior sets for the show to Old Tucson," Dortort said in an interview. "They are being used now and will be used more and more in the future." Dortort estimates that 65 percent of the series will be shot at Old Tucson and at other southern Arizona sites. The setting up of the interiors on Old Tucson's sound stage makes "cover" shots possible there, whereas in the past the cast and crew has had to shoot interiors only in Hollywood. (The remaining 35 per cent of the show will be filmed in California). Seeking to lay to rest once and for all the rumor that the show, which pumps an estimated $2 million a year directly into the local economy and has been credited by Chamber of Commerce officials with attracting five million tourist dollars annually, might move to New Mexico, Dortort said, "Some people in the industry thought I was crazy a few years ago when I predicted that Arizona would be the new Hollywood. Now more and more people are realizing this is coming true. I'm going to push with all my strength to make Arizona the new Hollywood." According to David Dortort, Mark Slade was a good actor, but at 30 years old it was, "difficult to write convincing scripts that had him playing a teenager." Dortort planned to keep the character alive because of the affection they had for Mark. 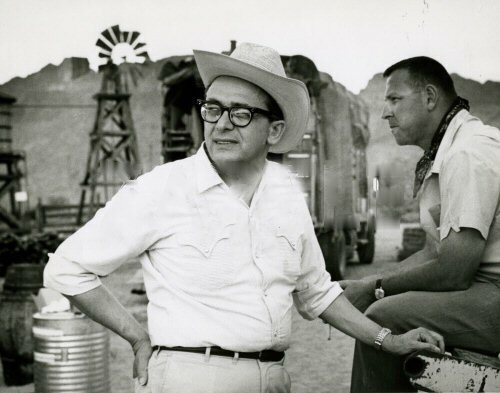 To support his argument, Dortort ticked off the names of five major film productions that have done location shooting in and around Tucson in recent months and pointed out that the old Hollywood has been sold off in huge chunks and does not really exist anymore. 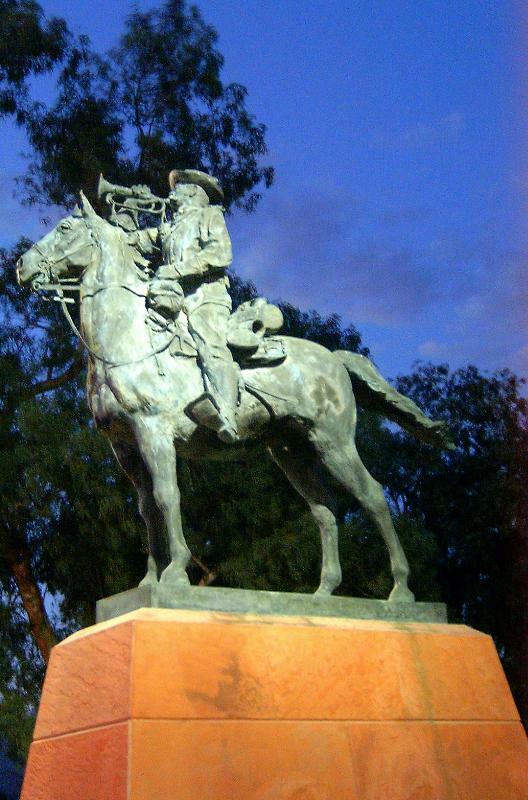 It was Dortort's assurance to Old Tucson's management that "The High Chaparral" could give a sound stage enough business that prompted construction of the present facility. 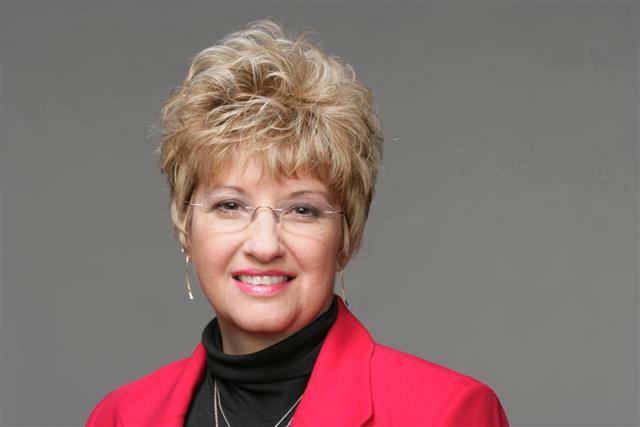 Although not a stockholder in Old Tucson Development Co., Dortort serves as a consultant on its advisory board, which is made up of celebrities including Elizabeth Taylor, Richard Burton and John Wayne. "Mark Slade is a fine young man, a good actor, cooperative and hard working," Dortort said. "But he's 30 and it was getting increasingly difficult to write convincing scripts that had him playing a teenager." Dortort said. Dortort said Slade's character, Blue, would be kept alive "because of the affection we have for Mark", and that he may return to the series at a later date as a mature character. The script has Blue leaving the Cannon ranch to pursue art studies in the East. A new character, Wind played by newcomer Rudy Ramos, 19, is being added to the series, and Dortort cautiously described his introduction. "We're going to try something novel: instead of the artificial stock characters on television, perhaps including some on our own show, we want to go back to the facts of history. 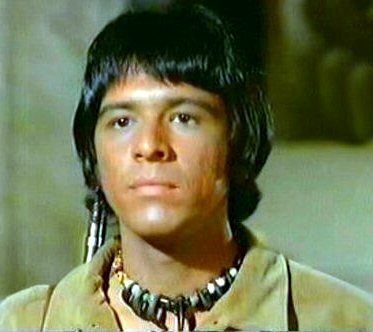 Rudy Ramos as Wind was added to The High Chaparral cast to appeal to the teenage audience. "After the Civil War, veterans of both sides of the conflict - men with their homes burned, their pasts destroyed - made their way west to the open land. They encountered Indian tribes where it was often a sign of hospitality to offer visitors a squaw. "This shocked many of the men from the Eastern seaboard still locked in the Puritan ethic, which was no place as rigid as in its relationship between men and women. Half breeds were often the result of these casual relationships. "These children," Dortort continued, "were brought up by the tribes as Indians, trained to hunt, fight, ride, be self-sufficient. Wind is one of these. He is obsessed with one terrible question: Who is his father?" In the first show of the series fourth season, Wind finds out - it's Buck Cannon, played by Cameron Mitchell. (This story is Mitchell's first notice of his television fatherhood, Dortort said). Ramos, whose father is a Mexican and mother a Cherokee Indian from Oklahoma, will thrash through his character's anguish of hatred for his father for having left his mother, his need for paternal love, and other generation gap problems. Dortort thinks today's youth will identify with the character's problems, "hang ups that have lasted long enough." The only other major shift in the story line will be a more important role for Don Collier, who plays Sam, the ranch foreman. Dortort, whose "Bonanza" finished No. 1 among television shows in its 11th year, said "Violence has been exaggerated out of all proportions" and has scuttled many good scripts - and a major new series, "Chinook," about American Indians, that he has had to abandon. (Okay, it never actually did this but I wanted a catchy title that included the word dogs). "A dog with a cow's head would not get a friend in as much trouble." Really? What a strange thing to say. I suggest a dog that didn’t exist at all would cause even less trouble. Naturally, that quote got me wondering (oh dear, she’s been wondering again). We see horses and steers galore in High Chaparral, which makes sense given that it’s a western+. The same holds true for the other popular westerns of the time; Bonanza, The Virginian, Gunsmoke, Maverick... horses and steers all over the place but we seldom see dogs. 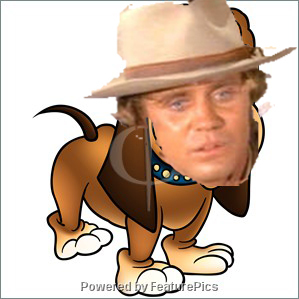 The only story that comes to mind where a dog featured in any western for me is the Mad Dog episode of Gunsmoke, where Festus is bitten by a dog he mistakes as being rabid (the dog was simply foaming at the mouth after spitting out a toad). I was pondering this quote and the fact that we rarely see dogs on westerns when my own dog reminded me that it was time for his walk. I looked at his intelligent black and tan face and wondered why anyone would suggest that a dog’s head might get a friend into trouble. Well, I suppose it might if it bit someone or ate something - I’m remembering a dog that once ate my string of pearls here... As for it having a cow’s head, speaking as a zoologist I can assure you that transplanting a cow’s head onto a dog’s body could never be possible so there’s no danger of Mano’s suggestion ever coming to pass. Now don’t get me wrong, I love cows and think they’ve got beautiful eyes. But a cow’s head belongs on a cow and I would not wish one on my dog. He’s clumsy enough without giving him an ever bigger head to crash around the place with. Anyway, as we walked through our suburban neighborhood, it occurred to me that dogs would’ve loved all the open space of the Old West. Why is it that here in the cities, we see people with two or even three, often large, dogs kept on properties much smaller than ranches yet we don’t see them on the TV ranches? In a strange twist, people with large dogs often live in tiny houses and vice versa. Maybe the Chaparral did have dogs but it’s so huge that we don’t see them because they’re off having fun. I must remember to take a closer look next time it’s on. I expect the real reason dogs didn’t feature much in the westerns is because the studios and actors would’ve had enough to deal with keeping their eyes on the big animals we do see. To throw dogs into the mix might’ve been just too much. One hundred plus filming temperatures wouldn’t have endeared the management to including them either. But let’s imagine that each star could have had a dog. It is said that dogs often reflect the personalities of their owners. Some even argue that dogs and their keepers grow to look alike and while I’ve seen some interesting photographic comparisons, I hope I don’t look like my dog. 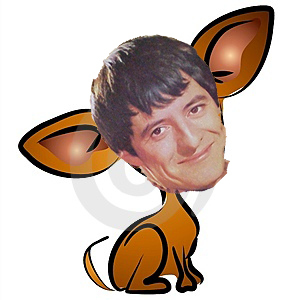 He’s got a rather long nose and huge ears, you see. But what if we could have dogs on the show? I started to think about which breed I thought would best represent each of the six main stars. This thought led to another, more offbeat one. Let’s imagine that HC takes place in a completely canine world where the human stars we love are dogs. Which dog would you choose to portray each one? John Cannon came easily. I could well imagine him as an enormous Great Dane, or even an Irish Wolfhound. Their deep and commanding bark, lanky but strong physique and looks that could wither with a glare would suit John perfectly, I think. Victoria is another easy one. My first thought was an Afghan Hound because they always seem to be gliding and have a sort of windswept, other-worldliness about them. However, and I don’t mean to be critical of the breed, I’ve met a few and they seem to be a bit... well, distracted. ‘Airheads’ was what the owner of three described hers as. Like beautiful catwalk models; slimly proportioned, elegant and tossing their heads back with pride, they almost fit the bill. But not quite. I needed the grace and appeal of the Afghan with a bit more of the down to earth qualities. My late Irish Setter, Lundy, sprang to mind. I admit she could be a bit of an airhead too (who among us doesn’t have their moments?) but overall, she was full of love, humor and often demonstrated a unique brand of intelligence. So for me, the Red Setter would be the one that would replace Victoria. Were I to choose another breed, it would be the large, standard poodle. These highly intelligent and beautiful dogs also possess the sort of grace and dignity Victoria portrays. This leaves us with Buck, Blue, Mano and of course Don Sebastian Montoya. Like John, I’m torn between two breeds for Buck. My first thought is the lumbering St. Bernard – complete with keg. But the Golden Retriever would suit him too, I think. It certainly springs to mind for Mano. That or the Black Labrador. I have yet to meet a retriever or a Lab that didn’t have a touch of the wit and good natured humor these two have. Intelligent, loveable but strong and protective, it’s the Retriever or Lab for Mano. If you disagree with the St Bernard for Buck, I’d make him a Retriever, too. Though he does have that loveable St Bernard look about him, doesn’t he? I think Blue would suit being a Shetland Sheepdog. These attractive animals are active, intelligent and have a strong desire to please those they love. They are great with children and will ‘ham around’ with them while showing courage if they feel those they love are in danger. This sounds very much like Blue to me. Having shared my life with many a German Shepherd, I’d say their temperament and behavior best suited Don Sebastian. Brave and intelligent, loyal yet fun loving. But I was torn here too; the Great Pyrenees Mountain Dog is equally suitable. Also loyal, intelligent and calm, often to the point of being downright serious, the breed does bring Don Sebastian to mind. They can also display the kind of stubbornness one would need when being the father of Manolito! I completely understand that readers will have different views about my choices. All the breeds described (and those not mentioned) will be the best of the lot to someone who owns one. That’s fine. We are all agreed that our own dogs are the best. Indeed, there were other alternatives I could have chosen but the list would have gone on too long. I tried to limit myself to a maximum of two per person. But that’s the fun of this article. We, at the HCN, want to find new ways to keep the show alive in our hearts and minds. This article is simply looking at it from a different angle - a fun angle. You might want to make up a list of what you think would be the best breeds for the stars mentioned. What about someone else in the show; Bob Hoy for example? I wonder what you’d pick for him, and why? I think I’d go for a boxer. Being strong, active and excellent for both a day’s hard work and an evening of quiet companionship among friends, the boxer would be my choice. Of course, I’m an equal opportunity pet lover and I adore cats every bit as much as I love dogs. As you would expect this led me to question why cats were seldom featured. But I decided not to press on. Can you imagine the High Chaparral complete with each star paired with the breeds I’ve allotted them then giving them all a cat breed too? Victoria would definitely be a Persian or Angora, don’t you think? But I expect the poor felines would spend most of their time atop the tallest cactus they could find, dodging the barking dogs below and the spines atop the plant. No, I think we might just stick with cattle and horses, don’t you? + For those of you who have become die hard cacti fans after they starred in the April newsletter, I realize we see lots of cactus too but they don’t tend to need wranglers to keep them from roaming. ‘Quick! The cacti are running off then fainting from heat stress...’ Nor do they need regular breaks in shade to have a drink. Thank you to the generous folks who are helping sponsor the reunion and bring the HC family home to Tucson! Without each of you there wouldn't be a reunion, you are all very special and a part of The High Chaparral family. 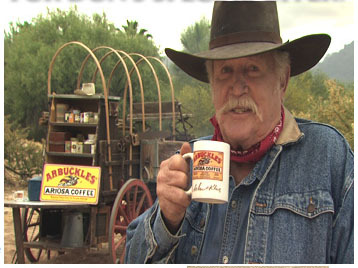 Arbuckle Coffee is a proud sponsor of The High Chaparral Reunion. Don Collier is their spokesman and the official Arbuckle Cowboy. Try a good cup of Arbuckles, the Coffee That Won the West. This month's Letters to the Editor includes email from YOU, the newsletter subscriber. Do you have a question about The High Chaparral, the cast, or anything connected with the show? Have a comment on the newsletter or something you'd like to see covered? Send it to info@highchaparralnewsletter.com, and we'll do our best to get the answer for you. Denny Miller, Neil Summers, Western Legends Roundup, Kanab, UT. August 26, 27, 28 & 29, 2009. Henry Darrow, Don Collier, Bob Hoy, Ted Markland, Rudy Ramos, Susan McCray, Kent McCray, and more. 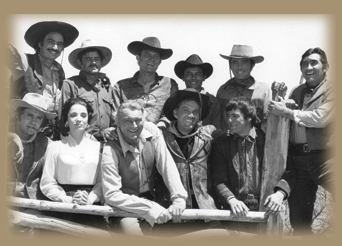 The High Chaparral Reunion, October 16-18, Tucson, AZ.